On December 19, 2016, the World Wildlife Fund (WWF) did a press release about the 163 newly discovered species in the greater Mekong subregion. Out of the 163 species, 22 of those had been found in Laos. 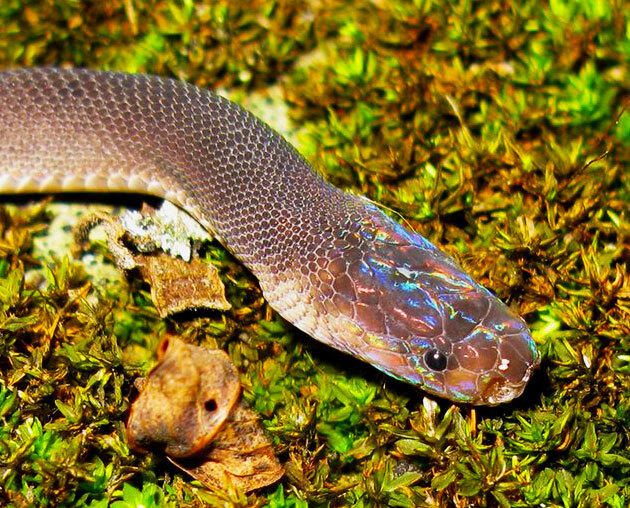 Here are a couple of the examples such as the rainbow head snake (shown above) which is being dubbed the Ziggy Stardust or rainbow head snake. Shown below is the pale blue and pink gecko that was found in a cave. 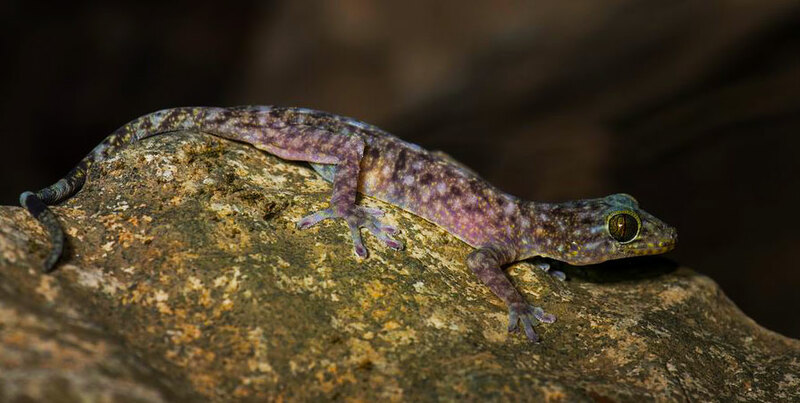 Gecko bonkowski. Photo Credit: Thomas Calame, WWF.